At Wrights Vineyard we work from the grassroots to produce hand crafted boutique wines in an ethical and environmentally friendly way. Our grapes and wines are certified organic and grown using biodynamic techniques. In the winery additives are kept to a minimum, to show case the vintage, wines and terroir of the vineyard. 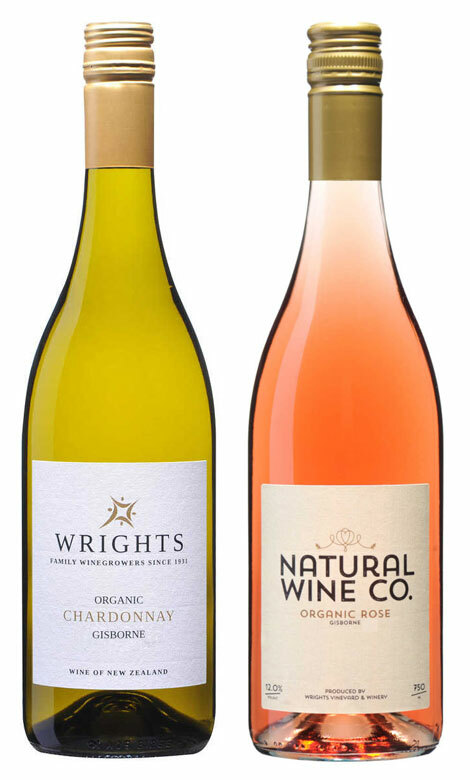 At Wrights we have two wine styles Natural Wine Co – fresh, pure and taste explosions representing new world wines. Some of the types of wines made under this range is Pinot Gris, Sauvignon Blanc, Rose, Gewurztraminer and Chardonnay. The Wrights range are old world styles, sourcing grapes from some of the oldest vines in Gisborne, New Zealand from Gewurtzraminer, Syrah and Chardonnay. Geoff Wright owner, winegrower is NZ’s 3rd generation winemaker, from Croatian descent. With winemaking starting in the 1920’s, Kumeu, Auckland, Martin Lovich (Brother in law to Great Grandfather) and then Geoff’s Great Grandfather in 1931, obtaining one of Auckland’s original winemakers licence.